Epson has just announced the release of a complete digital solution for business meetings with the company’s new business series. 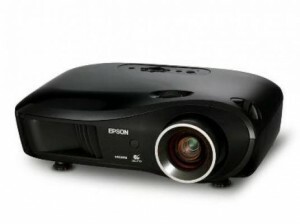 The new series includes the EB-1410Wi and the EB-1400Wi, both of which were unveiled by Epson at the 2012 GITEX Technology Week in Dubai. These devices combine the benefits of projectors, interactive whiteboards, flipcharts and other presentation equipment in a single device. They deliver a 100″ interactive projected image while also providing a wide variety of input sources, helping business professionals increase productivity while cutting installation costs by eliminating the need for multiple pieces of meeting room equipment. Both of these models also offer some nice advanced features, allowing users to turn any surface into a 100″ interactive screen and annotate on any projected image from a plethora of input sources, like computers, office networks, USB memory sticks, visualizers and other smart devices. Interactive pens are also provided, allowing users to to fully interact with computer software in the same way that they would with a mouse and even annotate meeting notes. As soon as your meeting is over, your notes can be saved and shared to office networks and USB memory in addition to being sent to other users via email. Both projectors also have the ability to connect to Epson all-in-one business inkjet printers, like the WorkForcePro 4500 Series. In addition to that, users can scan documents directly to the projector and print out meetings notes while the majority of business printers can also be connected for printing purposes. Finally, both the EB-1410Wi and EB-1400Wi also feature a multi-location function, allowing as many as four different projection systems to be remotely connected so that users can share images and presentations as well as annotate the same image remotely. One of the biggest problems in using a projector during a business meeting or classroom lecture is that you usually have to turn the lights down or completely off in order to clearly see the screen. This makes it much harder for your audience to write down things of importance because they may have trouble seeing their own paper. However, Sony’s newest projector aims to make that problem obsolete. The all new VPL-HW50ES is the latest in the company’s ES-Series of high performance audio-visual products. The VPL-HW50ES has a high light-efficiency lamp as well as better optics and is said to have a brightness output of up to 1,700 lumens. If you combine this with the projector’s bright cinema and bright TV picture modes, brighter and clearer 3D visuals can be reproduced even in well-lit rooms, according to the company. Oh, did I forget to mention that this projector is also 3D capable? Well, it is. The VPL-HW50ES is ready to play 3D movies out of the box with two pairs of bundled, infrared, active shutter glasses. In addition to that, wiring clutter is minimized via an integrated 3D synchronization transmitter. Other attributes of this projector include a 100,000:1 contrast ratio, dark frame insertion technology for smoother motion and two HDMI ports. This projector is definitely something business professionals will want to look into. The ability to project in full HD, as well as 3D, in a well-lit room allows you to have professional-grade presentations without having to kill all the lights in the room, not only making it easier on your audience’s eyes but also allowing you to look more professional as well. 4K projectors are typically reserved for the cinema market, though there has been an increasing desire for their use in other applications, mainly business. 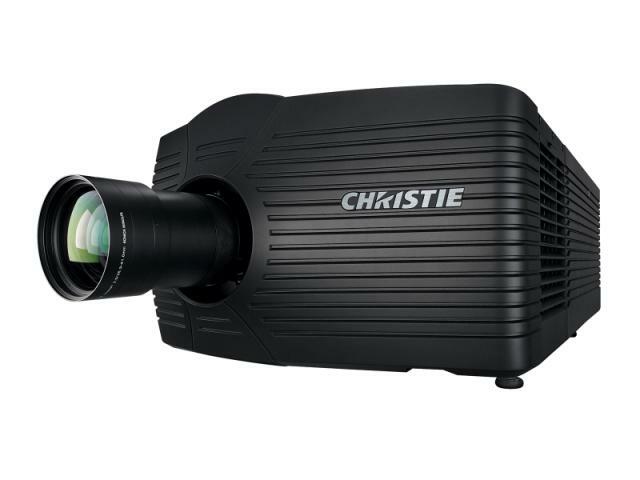 As a result of this growing demand, Christie has announced the official launch of the Christie Twist 4K projector at the International Broadcasting Convention 2012, otherwise known as IBC 2012, which recently took place in Amsterdam. The Christie Twist 4K was designed for Christie 4K, 3-chip DLP projectors used in business applications and enables the warping, blending and color matching of multi-projector displays in large-screen, fixed installation applications. This means use in places like amusement parks, automotive designs, museums and planetariums that require exceptionally large images in a multi-channel format. The Christie Twist 4K is equipped with Quad DVI input, which allows for the use of standard DVI sources. “With Christie Twist 4K, Christie Expands its 4K solution offerings and gives end users the ability to create large, high-pixel density panoramas that show their content with the finest detail, without distortion,” Tsintzouras added. There has yet to be any official word on pricing for the Christie Twist 4K, though a rough release date has been announced. 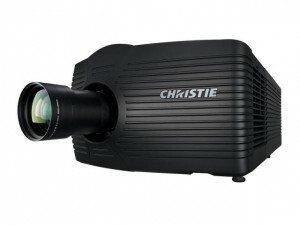 According to the company, the Christie Twist 4K is set to ship out to customers sometime in October 2012. DPI, known formerly as Digital Projection International, has just upgraded the brightness across the board for every single one of its LED projectors. The company’s entire range of LED projectors, which includes the M-Vision and dVision series, has been outfitted with Helmholtz-Kohlrausch (H-K) effect, allowing an increased brightness. The Helmholtz-Kohlrausch effect has been defined as “a change in brightness perceived color produced by increasing the purity of a color stimulus while keeping its luminance constant within the range of photopic vision” by The International Electrotechnical Commission. Each of DPI’s LED projectors is now capable of delivering a far greater luminance. In addition to that, certain models, like the ones that are priced between $13,000 and $40,000, are even breaking right through the 1,000 lumen threshold. This new ability to increase the luminance also comes as a result of newly available components and tailored engineering. 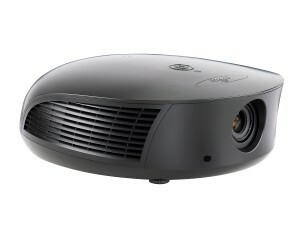 Other projectors from DPI that come with the increased brightness also include the new dVision 35 series LED models. These models also have 3D capabilities and, like all of the company’s products, offer ‘Lifetime Illumination’, meaning that a lamp will never need to be replaced. 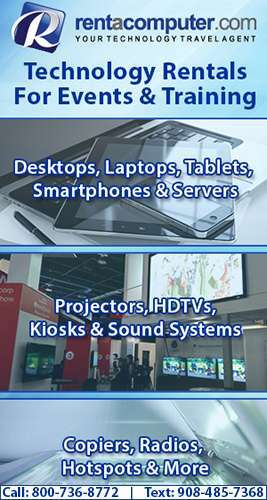 DPI also asserted that all of these projectors use a tiny amount of the power to run compared to traditional UHP lamp-sourced projectors. That basically means that not only are you getting an increased brightness output but you are also consuming less energy, making for a brighter, greener viewing experience. The Custom Electronic Design and Installation Association, otherwise known CEDIA, is set to have its 2012 convention in just two weeks and already we are seeing new product leaks of things we can expect at the show. One of those products comes from Runco in the form of the all new LS-10HBd projector. The new LS-10HBd projector is a part of Runco’s LightStyle Series and promises a beautiful, bright image perfect for any situation. The projector itself boasts more than 3,780 lumens before calibration and is a 3-chip DLP device designed to work in big home theaters, living rooms, media rooms or large conference/meeting rooms. What’s great about the LS-10HBd is that environmental factors, such as ambient light and shadows, shouldn’t affect your viewing experience. Other features for this device include a full 1080p HD image, ISF Day and Night modes and DLP-based SuperOnyx technology with the ISF calibration suite. In addition to that, the LS-10HBd comes with Runco’s own Digital High Definition 4 (DHD 4) external video processor, which can be rack-mounted and also has a ton of advanced connectivity options. The LS-10HBd, like all of Runco’s LightStyle projectors, features the option of Runco’s CineGlide lens solution, which can switch the picture from 16:9 to 2.35:1 at the touch of a button. FinishPalette design options are also available to customize the outside of your projector, allowing it to match the theme of whatever room you are planning on putting it in. According to Runco, the LS-10HBd should be available from authorized Runco dealers sometime in September 2012 for $29,995. This price includes the DHD 4 video processor and a two-year RuncoCare standard warranty. Most businesses these days are trying everything they can to keep costs low. That means buying more energy efficient products and trying to use less energy, paper and other things whenever possible. Because of that, manufacturers are doing their best to make more energy efficient and budget-friendly products. Enter Digital Projection International (DPI) and its most budget-conscious projector yet in the company’s high-brightness, high-value projection line, the E-Vision WXGA 6000. This projector, building on the success of the previously released E-Vision 7000 and 8000 products, extends the accessibility of DPI’s advanced projectors to a wider range of applications. The E-Vision 6000 produces 6,000 lumens of brightness and can be configured with the E-Vision series’ same wide array of lens options, user-swappable color wheels and advanced color options. The E-Vision WXGA 6000 will start shipping in October of this year for an estimated price of $3,995. The device weighs less than 40 pounds and the dual-lamp projector also employs the latest in Texas Instruments’ 1,280 x 800 dark metal DLP technology to deliver 6,000 lumens of up to 2,400:1 contrast. The projector is lightweight and has a streamlined case and presents a compelling imaging solution for lecture halls, conference centers, corporate auditoriums and boardrooms. The new E-Vision WXGA 6000 also has a distinct feature with the new, streamlined lightweight casing, which is designed to complement the architectural details of nearly any installation. In addition to that, a plethora of variety of fixed and zoom lens options gives this device a flexible throw ratio range of .76:1 to 8.26:1. If you are looking for a budget-friendly projector for your business meeting room or conference center then the E-Vision WXGA 6000 from Digital Projection International could be the device you are looking for. With an extremely high brightness, lightweight design and host of features, this projector is sure to fit the needs of any business. InFocus has just updated its short-throw projector offerings with the addition of new short-throw projectors designed to give consumers more options for low-cost, high-quality short-throw projectors. InFocus’ short-throw projector products are award-winning devices and some of the better short-throw projectors on the market, finding wide use in company board rooms, meeting rooms and small classrooms. 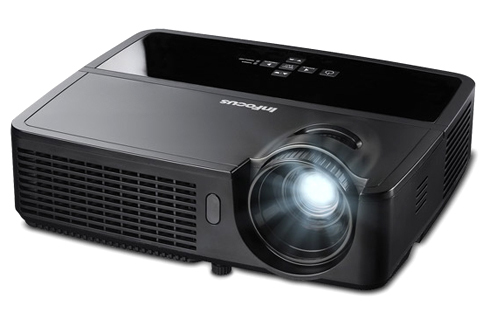 InFocus has announced the addition of the IN114ST, IN124ST and IN126ST projectors to its short-throw projector lineup. These new devices enable the projection of large images in small places while also offering high brightness and lower prices. This is what makes them perfect for the smaller settings of business meeting rooms and classrooms, where space is limited and quality needs to be high. The IN114ST is easily portable while also providing 2,500 lumens of brightness along with a 1,024 x 768 XGA resolution, a 50% longer lamp life than its predecessor and a 4,000:1 contrast ratio. 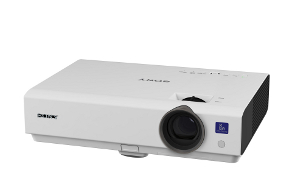 The IN124ST and IN126 are two of the lowest cost short-throw projectors that InFocus offers. The IN124ST has a 1,024 x 768 XGA resolution while the IN126ST has a 1,280 x 800 WXGA resolution. Both projectors also offer 3,000 lumens of brightness as well as advanced short-throw lenses along with HDMI connectivity and 4,000:1 contrast ratios. Official pricing has not been released, though InFocus is claiming that these devices are low-cost which means that they should be similarly priced to the company’s other low-cost short-throw projector offerings. If you need a short-throw projector for your meeting room or small classroom then InFocus is definitely a brand you should check out. 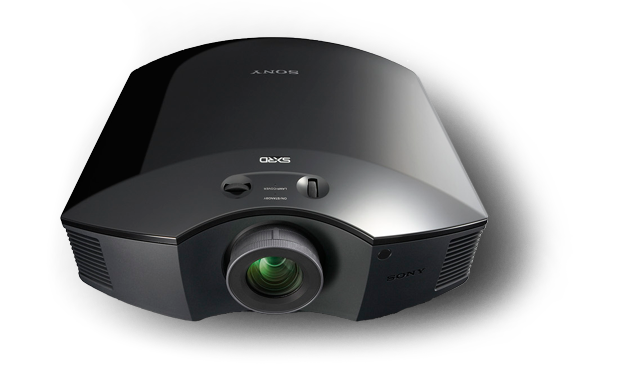 Sony has just debuted two new projector series for applications in small office, corporate or education environments. The new series include the new VPL-D100 series, which is specifically designed for the SMB industry and corporate markets, and the VPL-E200 series, which was designed with features that are specific to the education market. Some of the more common features with these new projector series include an auto lamp dimming function, enabling the projector to intelligently detect if it is left on with a static signal being fed. If the projector detects a static signal, the lamp will dim to 30% of the original brightness at certain intervals that you can personally set. In addition to that, whenever a new signal is sent, the projector instantly returns to full brightness. These new projectors also have an Auto Brightness Adjustment Function to help with unnecessary power consumption. This feature automatically adjusts the brightness of the lamp’s output depending on the brightness of the projected image. What this means is that if you are showing darker images that don’t require high brightness then the lamp will output less light. All of the new projectors also come with an Eco Mode function that gives you the ability to switch between three brightness modes and also allows you to control the power consumption of the projector, increasing the overall life of the lamp and projector. What’s more is that by applying a new fine-tuned cooling system to reduce bulb clouding, Sony has also extended the lamp life to around 7,000 hours, depending on lamp mode, of course. Standard features for the E200 series models include a 16W speaker, two RGB ports, HDMI, S-Video, RS-232C, RJ-45, microphone input and optional wireless capabilities. You can also perform remote control of multiple projectors which can also be accomplished by a wired LAN network, if the need arises. Wireless projection is also an option, though you will need the optional IFU-WLM3 wireless USB dongle if you want to connect wirelessly. Both the VPL-DX120 and the VPL-DX140 are the first of Sony’s new D100 series targeted at the SMB industry and corporate market. They combine style and all the necessary features needed to survive in these strict markets and come standard with one RGB port, one HDMI port and one Video port. No word has been released on an actual release date or specific pricing for the new projectors. Panasonic has just unveiled a new projector that, on the surface, sounds impossible. 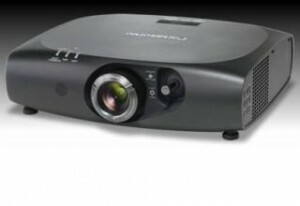 That’s because Panasonic’s new device is the first ever 1080p lamp-free projector series with HDBaseT technology. This new projector series replaces your conventional lamp with new LED/laser diodes that are boosted by Panasonic’s proprietary technologies that offer long-lasting high brightness of more than 3,000 lumens. 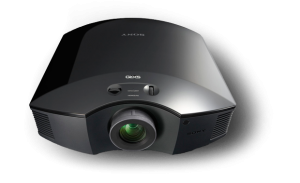 The new projectors, which come as the single-chip DLP PT-RZ470 and PT-RZ370 Series, will be made available in two different resolutions: full 1080p HD (1,920 x 1,080) and WXGA (1,280 x 800) with capabilities that were previously impossible with conventional projector lamps. 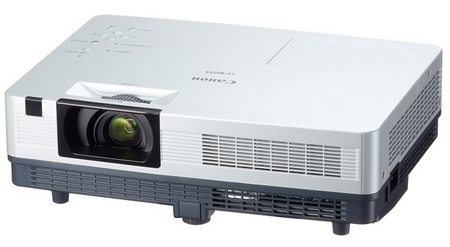 These new projectors pair an LED/laser light source with Panasonic’s installation flexibility, including lens shift capabilities, which marks a new milestone in projector technology. This allows the projectors to provide users with continuous high brightness and professional grade features, including Edge Blending and Color Matching. This new technology has also allowed Panasonic to enrich the projector usage experience for different environments, like the educational industry, as well as for professional applications, like museums, digital signage, conferences or other large corporate events. In addition to that, the new lighting technology delivers up to 20,000 hours of virtually maintenance-free operation. As a result of this convenience, operating costs for the projectors are significantly less than conventional lamp projectors because you don’t have to worry about periodic labor and the associated cost that comes with it. According to Panasonic, the PT-RZ470 and PT-RZ370 Series projectors will be available through authorized Panasonic resellers beginning in the fourth quarter of 2012. The series will have basic 3-year limited parts and labor warranties with light source operation warranted for more than 10,000 hours. Unfortunately, there has yet to be any word on pricing for either projector. Canon U.S.A. has just announced four new LCD model projectors designed to service the needs of a wide range of professional users. The one thing these devices have in common is a combination of high brightness, long lamp and filter life and convenient auto setup functions that prove to be very cost-efficient. These newest projectors are divided into Advanced (A) and Mid-Range (M) models and include the LV-8227A, LV-7392A, LV-7297M and LV-7292M. The LV-8227A combines high-contrast image protection with widescreen WXGA resolution display to deliver bright, highly detailed video and still images, even in brightly lit rooms like classrooms or boardrooms. In addition to that, the Canon LV-8227A is able to reproduce full 16:10 widescreen images generated by laptops and desktops without cropping or compression. The LV-7392A multimedia projector outputs a brightness of 3,000 lumens and features a contrast ratio of 2,000:1. It is also perfectly suited for classrooms, labs, conference rooms and other small environments. This device also delivers XGA resolution images, just like the LV-7279M and LV-7292M, though they have 2,600 and 2,200 lumen outputs, respectively. All four of these projectors include a variety of computer, video and audio connections for compatibility with a variety of media-display devices. Connectors for these devices include HDMI 1.3, allowing you to hook up a Blu-ray player, gaming device or other high-quality video source. An RS-232C serial connection is also included, providing for full local PC controls when using third-party control software. Each model is expected to ship in June with the LV-8227A priced at $799, the LV-7392A priced at $799, the LV-7297M priced at $699 and the LV-7292 priced at $599. Each projector is backed by Canon U.S.A.’s exclusive Triple P, a free service program that provides you with a loaner projector of equal or greater value in case your machine breaks down or needs replacing.